Welcome back. 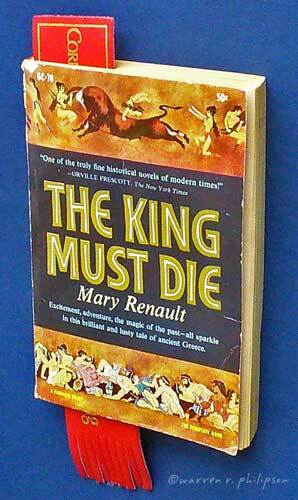 I’m on page 71 of a paperback novel I bought new for 50 cents when I was an undergraduate. Shortly after the Dark Ages, I began a 5-year bachelors in civil engineering, which required 180 credit hours and offered little flexibility, even in a handful of liberal arts and humanities courses. One of those side dishes was History of Science, perhaps the only course I ever truly enjoyed. I don’t remember why Mary Renault’s The King Must Die--the lusty tale of the Greek mythological hero Theseus, slayer of monsters, abductor of princesses and King of Athens--was on the course list. The book was never assigned or at least I never read it. But it gives you an idea of the scope of the course. 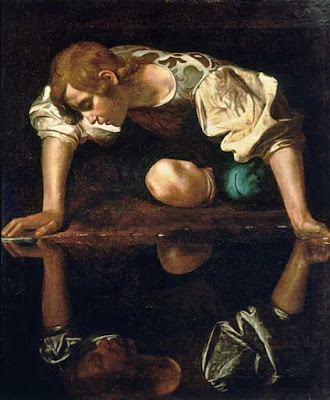 When I finally started reading about Theseus, ancient Greek gods and such, I was reminded of Narcissus and a research study on narcissism I saw several months ago. There are different versions of the Greek myth of Narcissus. Suffice it to note that he was known for his extraordinary beauty. When he saw his reflection in a river (lake? ), he became entranced by his reflection. Unable to leave or obtain the object of his desire, he died on the banks from his sorrow or he drowned. Individuals with narcissistic personality disorder believe the world revolves around them. While narcissism is associated with various interpersonal dysfunctions--desire to focus on oneself, inability to empathize with others or maintain healthy long-term relationships, unethical behavior, aggression--it’s been shown to boost self-esteem, emotional stability and the tendency to emerge as a leader. Researchers from six universities--Buffalo, Illinois, Purdue, Texas A&M, Nebraska and California-Davis--collaborated on a study to assess gender differences in narcissism. Through a meta-analysis of personality test data on over 475,000 people, reported in 355 journal articles, dissertations, manuscripts and technical manuals spanning 31 years, they systematically documented the widely held belief that men tend to be more narcissistic than women. 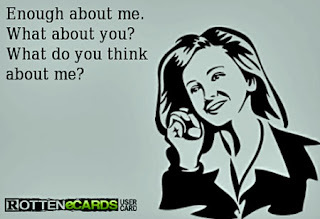 The researchers considered the three factors of the Narcissistic Personality Inventory, a commonly used measure of narcissism. They found the largest gender difference was in Exploitative/Entitlement, suggesting men are more likely than women to exploit others and feel entitled to certain privileges. There was also a large difference in Leadership/Authority, suggesting men are more assertive and have greater desire for power. But there was little difference in the third factor, Grandiose/Exhibitionism. Men and women were equally likely to display vanity or self-absorption. On the bright side, the researchers found no increase in narcissism in either male or female college students over the period 1990 to 2013. The researchers judge that the narcissism gender gap arises from ingrained societal stereotypes. We begin to observe and absorb gender roles when we’re young. If criticized for being aggressive or authoritative, we’ll likely suppress narcissistic behavior. If taught we’re not as worthy of leadership as others may be, we’ll believe that we don’t deserve or aren’t entitled to those roles. The researchers recommend that future research investigate the social, cultural or biological factors contributing to the gender differences. What do you think? Is it worth studying further? If so, is there a better direction? Once again thanks for stopping by.